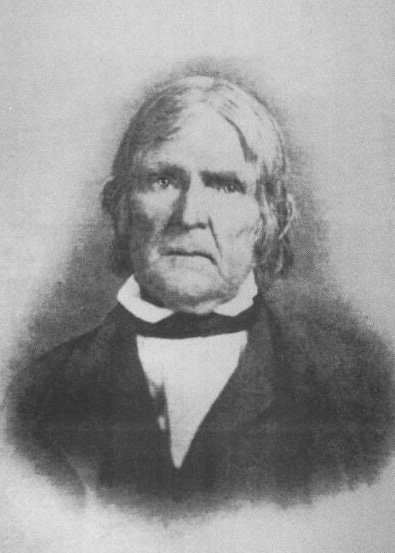 Charles Sackett, farmer of Attica, Wyoming County, and Bergen, Genesee County, New York, son of Aaron Sackett and Phebe Hart, was born in Litchfield, ConnecticutG, on 23 May 1793.2,3 He died in BergenG on 7 August 1879. He was buried in the East Bergen CemeteryG. He married on 3 July 1814, Saloma Bascom, daughter of Joel Bascom and Rebecca Bascom.4 Saloma was born in Cambridge, VermontG, on 3 May 1795.4 She died in BergenG on 6 September 1869. She was buried in the East Bergen CemeteryG. Brian Sackett, Sandra Berry, Samuel Eash, Kathleen Sackett, Richard Sackett, Peggy Lockwood, Sara E "Kit" Bowser, Robert Sackett, Anne Maturi, Christy Sackett, Victoria Clifton, Joe Sackett and Karina Sackett. Barbour Collection of Connecticut Vital Records, "Sackett, Charles, s. Aaron & Phebe, b. May 23, 1793. Litchfield Vital Records, 1:201." Andrew P Sackett, Ancestors and Descendants of Frederick Plummer Sackett, published by the author (1983).